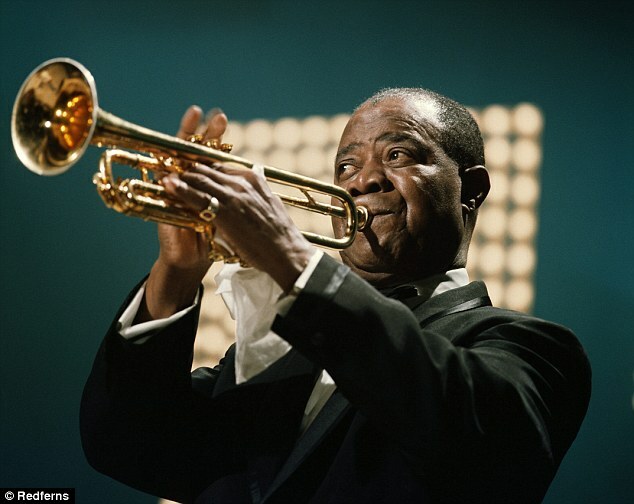 Louis Armstrong is remembered as a towering influence in the community of music lovers. He was born August 4, 1901. Nicknamed Satchmo , Satch or Pops. Known as an American jazz trumpeter, composer, and singer, Louis also was an occasional actor. His career covered five decades from the early 1920s to the 1960s. By virtue of the content of his character, Armstrong was one of the first African-American entertainers to cross the skin color divide that existed in America at the time. To the dismay of many, he avoided publically politicizing his race but stood up for the desegregation of Central High School in Little Rock. By 1920, a younger generation of players, born after 1900, was emerging, and one name above all others began to be mentioned after 1918 when he first started appearing with Kid Ory's band: a talented trumpeter named Louis Armstrong . The year 1928 was Armstrong's last full one in Chicago before he moved to New York, and began the phase in his career that elevated him from a supreme jazz musician to a popular entertainer. He was, as he put it, "getting to be a big man on the South Side. Chicago was entering its final flourish before the onset of the Depression. On October 29, 1929, The stock market crashed. The country was plunged into the great depression. That made it hard to make a living in the music business when no work for people meant no money on the streets. In the 1930s, Satch went to work at Connie's Inn in Harlem New York. The club had elaborately staged shows and was a front for the racketeer, Dutch Shultz . Harlem was in a transition. The Harlem Renaissance was giving way to the rise of a new upstart...jazz. Bumpy Johnson was numbers king uptown, Shultz was beer baron downtown, Billie Holiday, Ella Fitsgerald and other jazz musicians were trying to etch out survival on the mean streets in Gotham City, Harlem New York. As the bite of the Depression wore on and record sales fell away the music scene shifted to the larger orchestras of Cab Calloway and Duke Ellington . They catered to the more influential wealth class that frequented the Cotton Club that was said to be backed by organized crime. Satchmo had to resort to doing lenghy tours and "one nighters" to survive.